Rosey’s Mark is the first and only brand dedicated exclusively to the role of roses in food and culinary art and shapes the concept of “Floral gastronomy from Bulgaria. 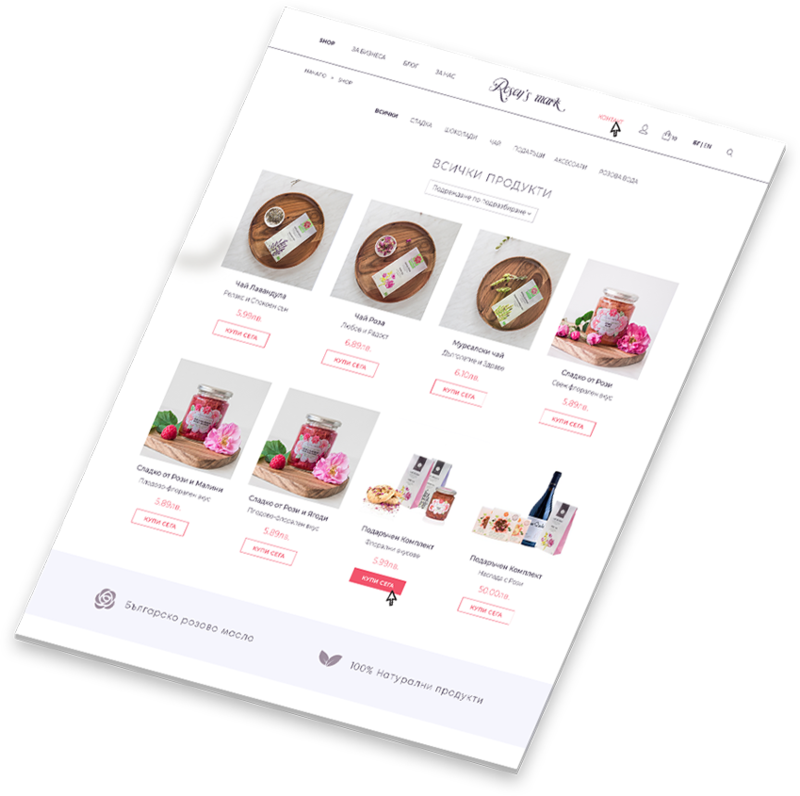 Our task was to redesign the existing website, as well as offer a minimalistic and elegant solution for showing the products online. 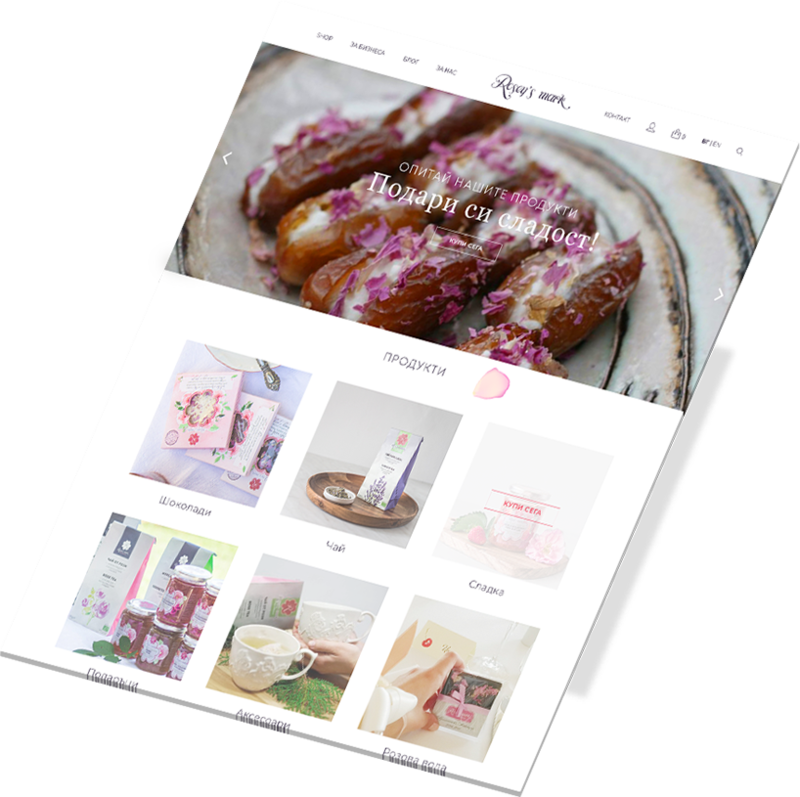 As soon as the user opens the website, the first thing he sees is the newest product or a recipe on the site with a vivid image, shot especially for the brand. Custom images, elegant design and great typography, those are the ingredients for a great design recipe.